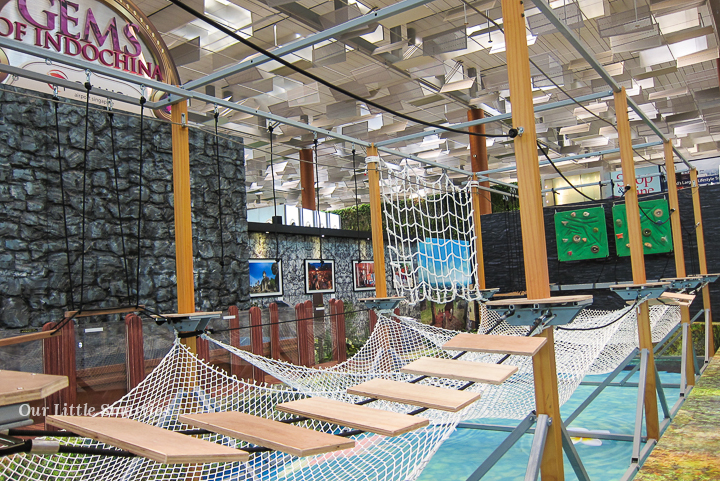 Have Some Climbing Fun at Changi! As you probably know, we’re big fans of Changi airport. Every school holidays, they organize various fun and exciting activities for the kids. In the past, they had indoor playground, Angry Bird Space, ice-skating, bouncy castle etc. If you’re wondering what they have planned for this June holiday, please read on. 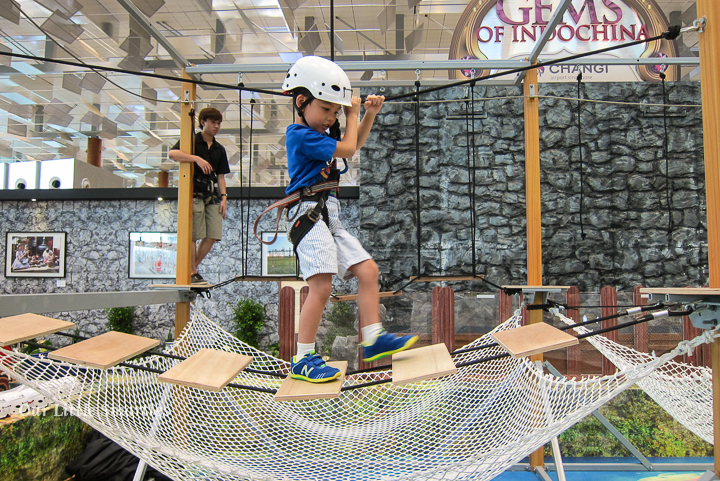 This month, you (or rather your kids) can look forward some exciting climbing fun at Changi Airport. 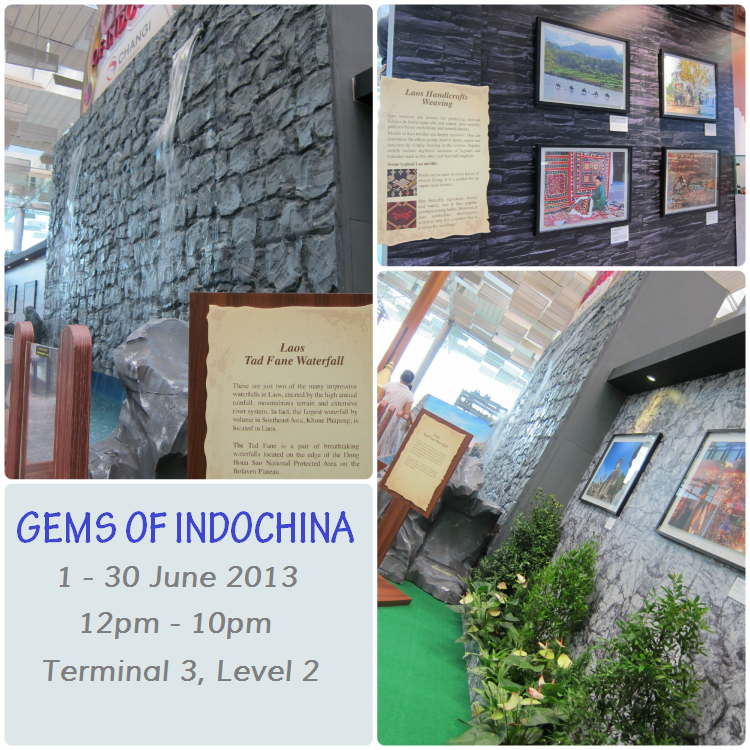 The theme of the event is Gems of Indochina where it features a 10-course obstacle track for kids six years and above, and measuring at least 1 metre in height. Same great place and same old rules apply. The event is held at Terminal 3 Departure Check-In Hall Row 11. You need to spend a minimum of S$40 (S$30 for Changi Rewards members) at any Changi Airport outlets to redeem one activity pass. Each activity pass admits one eligible participant. “What if I fall to the right side?” he asked again. I realized that he starts to get a little nervous with my answer. So, I assured him that he will not fall as there is a safety harness strapped on his body before he climbs up the track. So, after putting on a safety helmet and harness, he went up the track by himself. He was stuck at certain obstacles, and thankfully, the airport staffs never fail to provide guidance to him. He managed to complete the 10-course obstacle track! It’s his first climbing experience, and he was so excited and proud of it. 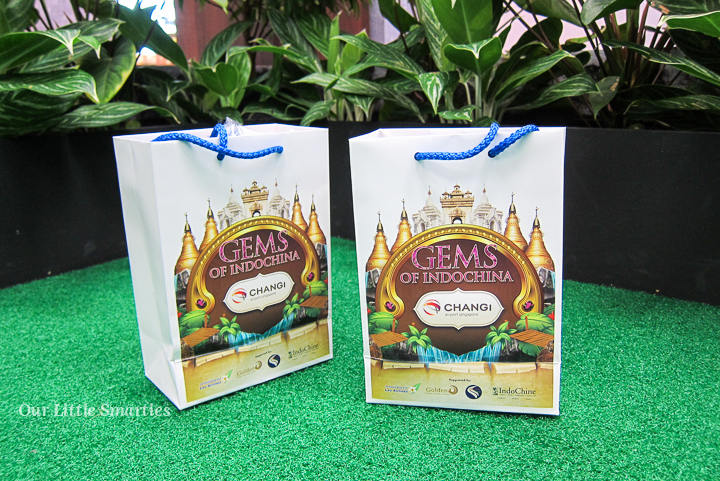 Goodie bags will be given to the first 30 participants every day. This exhibition is open to all visitors (no minimum spend required). 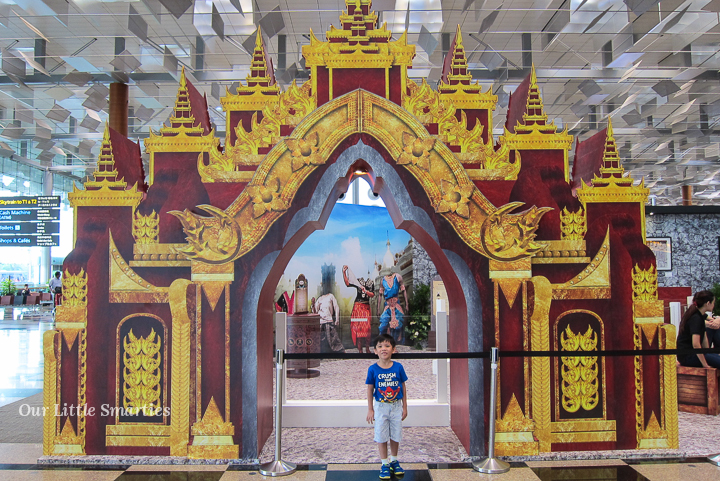 It features photography, artifacts, travel information, and interactive displays about heritage sites like the Golden Stupas in Mandalay or the Laotian Plain of Jars. 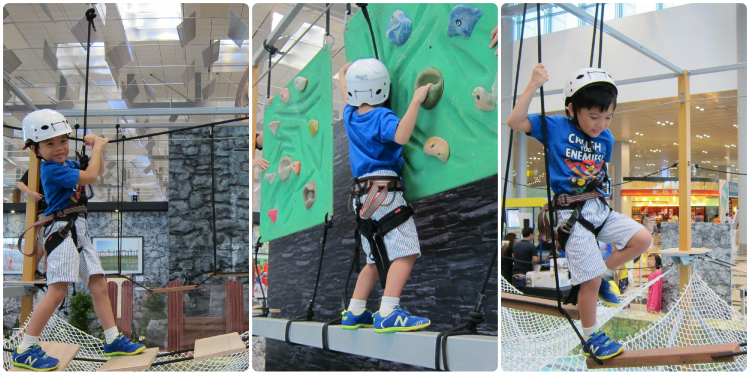 Have some climbing fun this weekend! 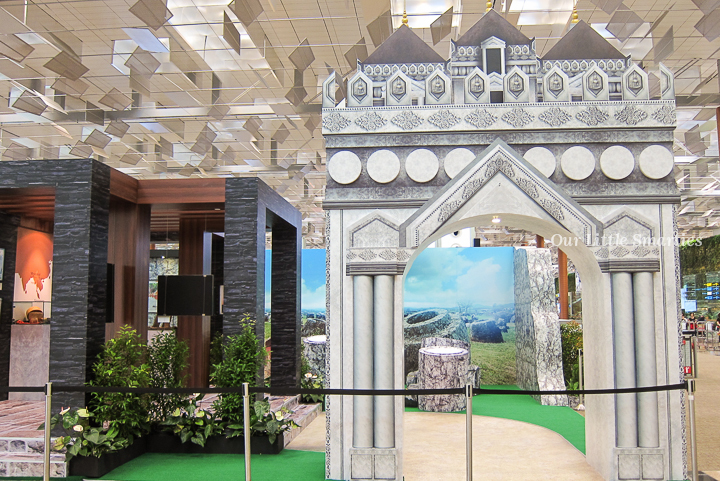 For more information, please check out Changi Airport website HERE. I also love visiting the Changi Airport, it gives me a holiday feel. Wow good boy, managed to finish the obstacle climb, he must be very happy, good activity to bring your kid to. Wonder what is inside the goodie bag, hee hee! The goodie bag contains snacks from the Indochina, i.e. biscuits, coffee, etc, a notepad, key chain, etc. I believe the contents are not the same for all the goodie bags.